PIT is flying high, but how far has it come? Dec. 06, 2017, 11:32 a.m. 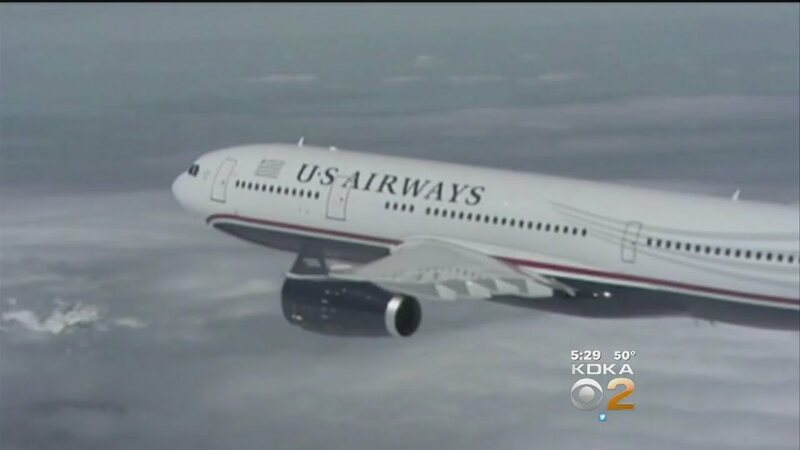 In 2004, U.S. Airways decided to close its Pittsburgh hub, taking hundreds of daily flights and millions of connecting passengers with them. At the time, forecasts were dire. Pittsburgh International Airport, once regarded as a treasure of the aviation industry — The New York Times called it the “airport of the future” — was firmly in decline. In the last three years, the airport has added a slew of direct flights — Iceland, Montreal and Seattle to name a few — and announced a planned project to construct a sleek new $1 billion terminal. And while there are many reasons for this bounce back, the piecemeal nature of the rebound — spread out over weeks, months and years — can mean it’s difficult to visualize. For that reason, we at The Incline compiled the following data through requests made to airport officials. The numbers reveal an airport on the rise again. They also reveal the fall that came first. Before CEO Christina Cassotis came on board in 2015 with what spokespeople call “a specific mission to increase air service for our community,” the airport was floundering. PIT was built specifically for U.S. Airways in 1992. At one time, U.S. Airways was also the biggest employer in the region with as many as 12,000 employees. So the importance of the airline’s decision to exit more than 10 years later is impossible to overstate. Meanwhile, there were other adversarial factors at play. Again, she credits new leadership with much of the turnaround. Between 2013 and 2016, the number of passengers at PIT grew from 7,884,170 to 8,309,754. As of September of this year, 6,639,553 passengers had passed through PIT. “Barring any major snowstorms or unforeseeable nation-wide events impacting air travel, we expect 2017 to eclipse 2016,” Walls said. That would mean five straight years of growth. A comparative chart is embedded below. The airport’s 24-page September 2017 traffic analysis is embedded below that. Additionally, PIT enplaned 371,674 for the month of September 2017, a 9.6 percent decrease from the previous month but a 4.7 percent increase above September 2016. Combined enplaned and deplaned traffic for September 2017 totaled 738,369 passengers, a 12.2 percent decrease from the previous month and a 4.2 percent increase above September 2016. Year to date, all scheduled carriers combined are up 7.1 percent. Year-to-date total airport passenger traffic is up 7.2 percent, according to the September report. And while the airport is still nowhere near the peak levels it saw in the ’90s and early aughts, few are, especially those that have lost their hub status. A WOW Air plane offering service to Iceland is pictured at Pittsburgh International Airport. “We have added all three low cost carriers (Allegiant, Frontier and Spirit), regional carriers like OneJet and Southern Airways Express that serve cities within a 500-mile radius of PIT, and new international carriers like Wow to Reykjavik and Condor to Frankfurt,” Walls added. September 2017 showed a 5.3 percent increase in aircraft landings by scheduled passenger carriers over September 2016. She added that with the recent addition of nonstop flights to Seattle on Alaska Airlines, Pittsburgh International will have service on the top nine passengers airlines in the U.S.
“That’s ALL of them, with the exception of Sun Country,” Walls explained. You can see a full list of nonstop flights here. Walls said there are more nonstop flights being added and more that will be announced before the end of the year. There’s also demand driven by Pittsburgh’s continued economic recovery. “Our city and region is experiencing a tech-fueled renaissance, and it’s our mission, through collaboration with regional partners like VisitPITTSBURGH, the Pittsburgh Technology Council and the Allegheny Conference, to reflect that here at the airport, and offer the air service that our region needs to continue growing and advancing,” Walls said.